This term we are going to be exploring different story books that involve animals. Before our topic we visited Rand Farm, we saw lots of different animals, where they live and we even got to feed them with some special food. We went on a tractor which took us around the farm to see different areas. We also got to see some special reindeers too. We read the story 'The Very Hungry Caterpillar'. The fruits from the story helped us find to which groups had more or less. We also used the different amounts of fruit in the story to add 2 groups together. Some of us have even been practising how to add 2 single digits together. 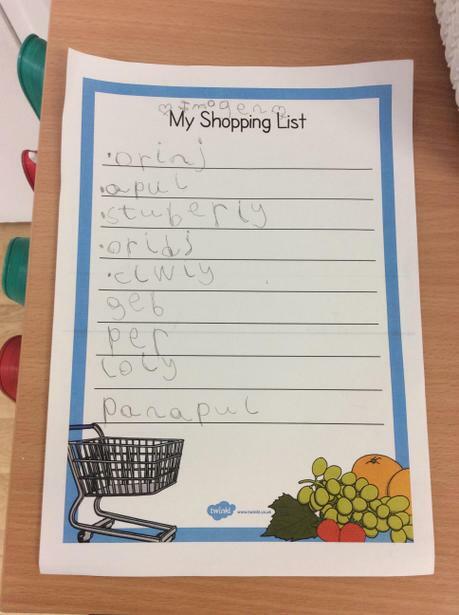 The children were very excited about the story so we learn how to write a list of all of our favourite fruit. Our teachers then took our lists shopping and bought some fruit to make a fruit salad. It was delicious!